This entry was posted on August 1, 2014, in NME. Bookmark the permalink. Big Star’s name is kind of a misnomer. The Memphis band released three albums of introspective, melancholic power pop in the Seventies to widespread critical acclaim – but barely anyone bought them. Their 1972 debut – the equally ironically named ‘#1 Record’ – sold fewer than 10,000 copies, in part because of their label’s distribution issues. 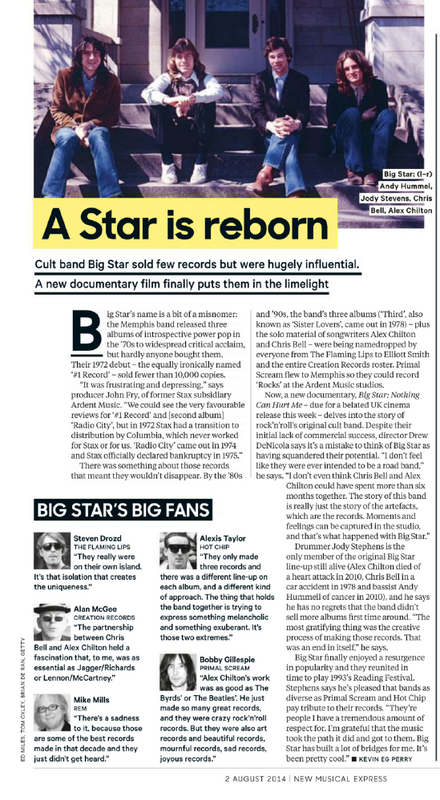 Originally published in NME, 2 August 2014.